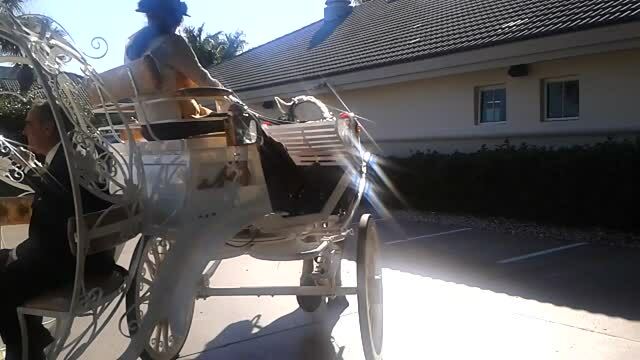 Charlene's Classic Carriages has the only Cinderella Carriage of it's kind in Florida. This Carriage was Custom Made in California by One of the Best Carriage Makers in the United States. The Cinderella Carriage is Fabulous for Fundraisers or Black Tie Events!